You really do have the right to remain silent – and you should. Even if you have not yet been placed under arrest, you can opt to stay silent as to avoid further incriminating yourself. However, you should still be compliant, so provide the officers with the documentation they request and answer basic questions like name and address. Don’t complicate the situation by being abrasive or trying to flee the scene. Contact a lawyer immediately. You have the right to request legal advice right away, so don’t face this ordeal on your own, especially if you are facing charges. Getting in touch with a DWI lawyer from the scene can be a proactive approach to your defense and help you understand what you are up against. You can decline the field sobriety and breathalyzer tests. 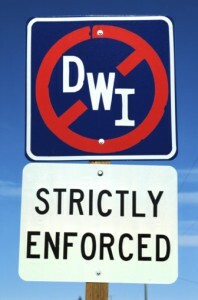 If you know for sure you are over the limit, decline the officer’s request to administer a field sobriety test. Under New York state law, you may be subject to fines and an automatic license suspension by refusing (you sign a consent waiver when you apply for your license). If you choose to submit to the tests an experienced DWI lawyer can potentially refute the results of the tests, as they can be proven to be unreliable in some cases. While the best way to safeguard yourself against a DWI penalty is to refrain from driving if you’ve been drinking, in the event you are stopped following these tips can help improve your chances and provide you with a best-case outcome. If you’ve already been charged and would like to discuss your case, contact the offices of George Vomvolakis via e-mail at gvomvolakis@vomlaw.com, by phone at (212) 682-0700 or at his office at 275 Madison Avenue, 35th Floor, New York, NY 10016.